Birds by Toikka Anna and Mari are completely new types of bird for this much-loved collection. The birds are dome-shaped, making it possible to place the smaller one inside the bigger one. The larger Anna-bird can protect the smaller Mari-bird under its wings. Separately, they take on their own personalities. The dome-shaped, hollow body is a new interpretation of Toikka's birds. Birds by Toikka Anna and Mari are completely new types of bird for this much-loved collection. The birds are dome-shaped, making it possible to place the smaller one inside the bigger one. The larger Anna-bird can protect the smaller Mari-bird under its wings. Separately, they take on their own personalities. The dome-shaped, hollow body is a new interpretation of Toikka's birds. The bigger bird can provide shelter for the chick, but the birds can also be used for protecting any valuable treasures that need to be kept untouched. The transparent colouring of the birds was carefully considered. 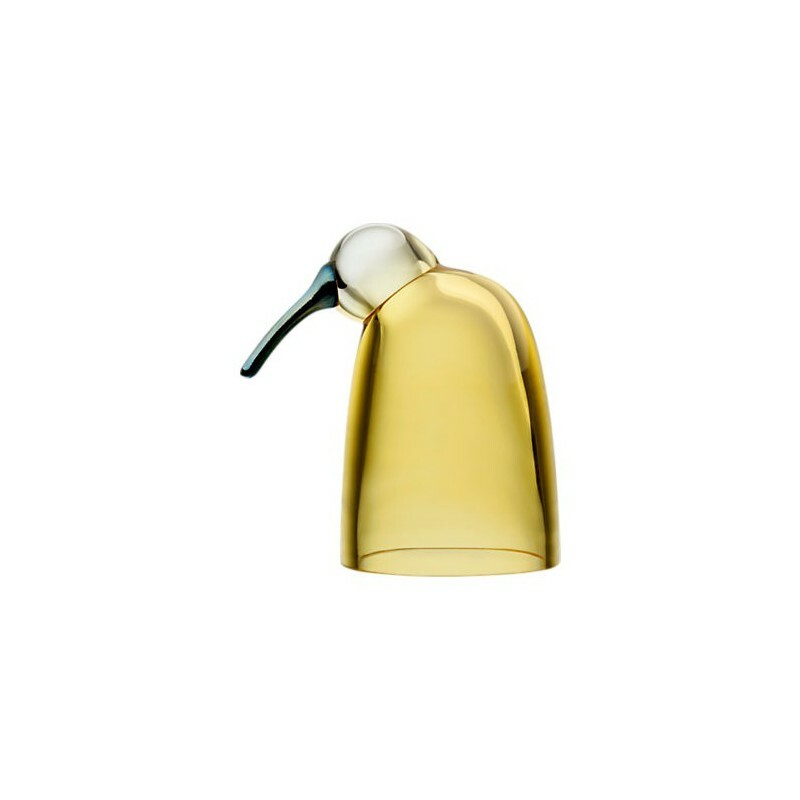 The sensitive, delicate yellow of Mari receives a splash of colour when the chick is lovingly sheltered by Anna, with her shades of copper-brown and mist.